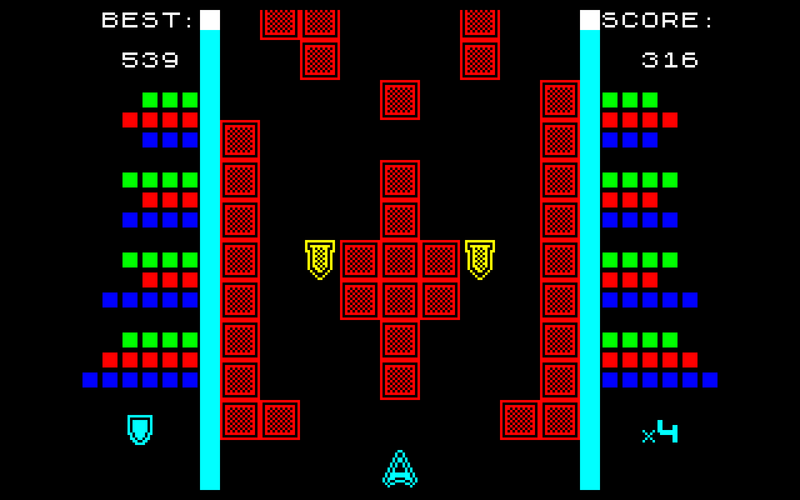 Have you ever thought about a ZX Spectrum version of Avoid Sensory Overload? Here you have the answer! 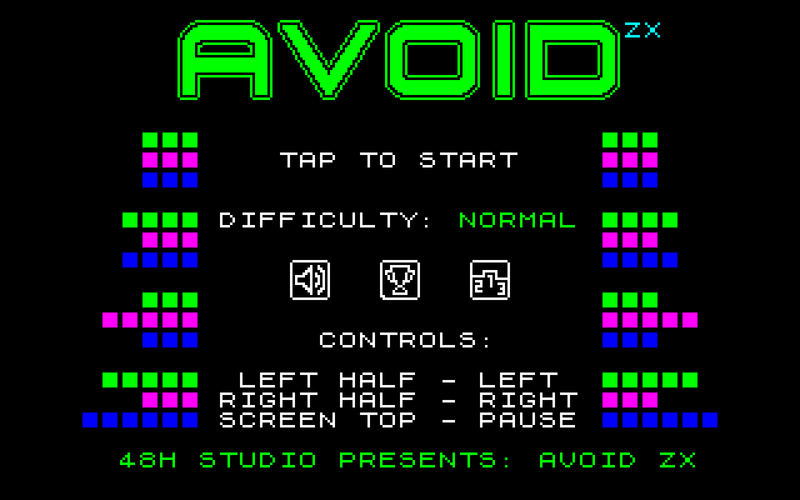 During the SpeccyJam 2 è a retro-version of Avoid Sensory Overload has been developed: Avoid ZX. Relive the experience of a ZX Spectrum game play! The desktop version is free! You can download it here. 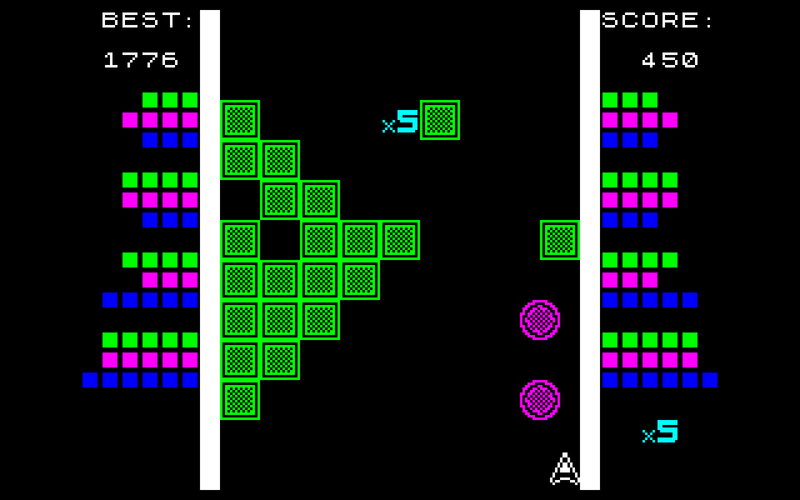 Try also the advance version with a new difficulty, a new audio track and online leaderboard! You can find it on App Store and Google Play. Available on PC Windows, Mac, iOS and Android!